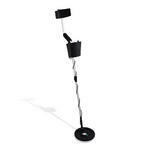 The Pyle PHMD3 Treasure Hunter Metal Detectors will help you uncover lost valuables. 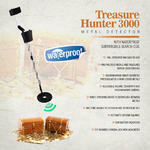 Find precious metals, artifacts and more with these fully featured metal detectors. 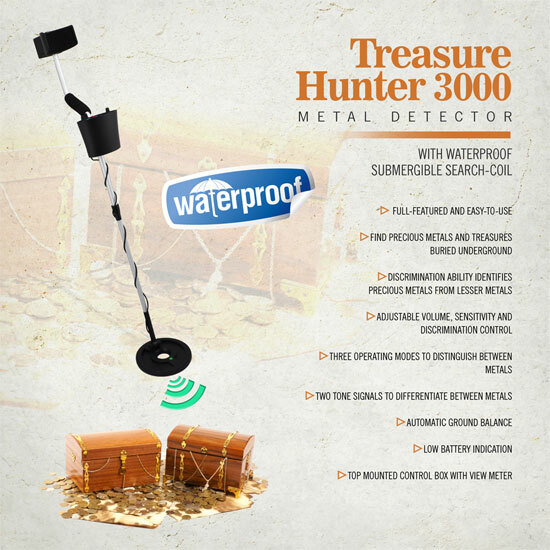 Features include Waterproof and Submergible Search Coils, Headphone Jack, High-Sensitivity Operation, Mounted View Meter Control Box, Adjustable Volume, Sensitivity and Discrimination Control and more. 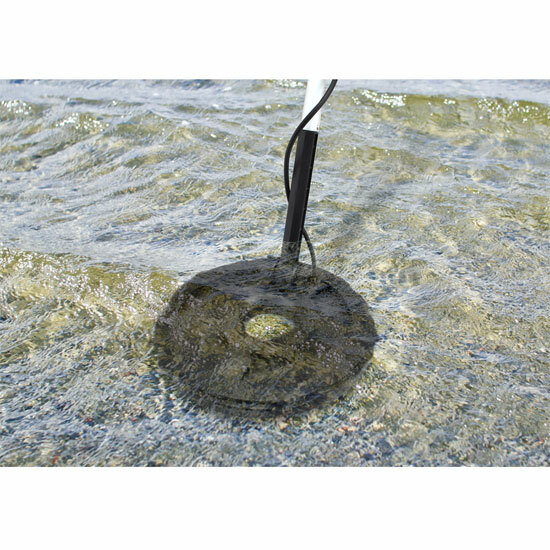 Locating sensitivity in depths up to 8 Inch - Pinpoint detection in depths up to 6.5 Inch. 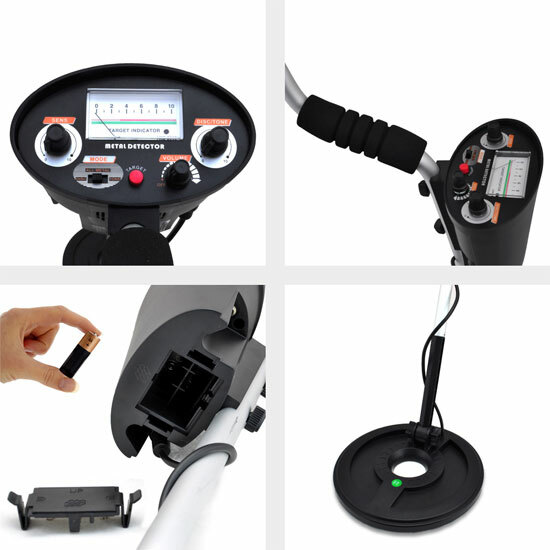 Compact, light-weight and easy-to-use, the Pyle PHMD3 Metal Detector will help you unearth things you have and things you may not have been looking for. Full-Featured and Easy-to-Use Metal Detector|This Detector will Find Precious Metals and Treasures Buried Underground|Discrimination Ability Identifies Precious Metals from Lesser Metals|Three Operating Modes to Distinguish Between Metals|Adjustable Volume, Sensitivity and Discrimination-Tone Controls|Two Tone Signals to Differentiate Between Metals|Automatic Ground Balance|Low Battery Indication|Top Mounted Control Box with View Meter|Comfortable Arm Support and Adjustable Aluminum Stem|Easily Disassembled for Transport or Storage|7.8?? 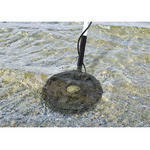 inch, Concentric Waterproof Submergible Search Coil|Audio Detect Options: 1.2'' Speaker or 3.55mm Headphone Port|Batteries Required: 6 ?AA? (not included)|Locating Sensitivity: Max Depth 8'' inch|Pinpoint Detection: Max Depth 6.5'' inch|Sold as : Unit|Weight :4.77 lbs.